Eco friendly wireless temperature and humidity sensors with integrated data loggers are highly sustainable products featuring ultra low power consumption, wireless fully autonomous sensors, various transmission protocols, network supervision / monitoring software open to core business, etc. The EcoSensor wireless system is perfectly for environmental studies and monitoring tasks whilst saving dramatically on technician intervention comparing to wired instruments. Measuring ranges -40? to +150? 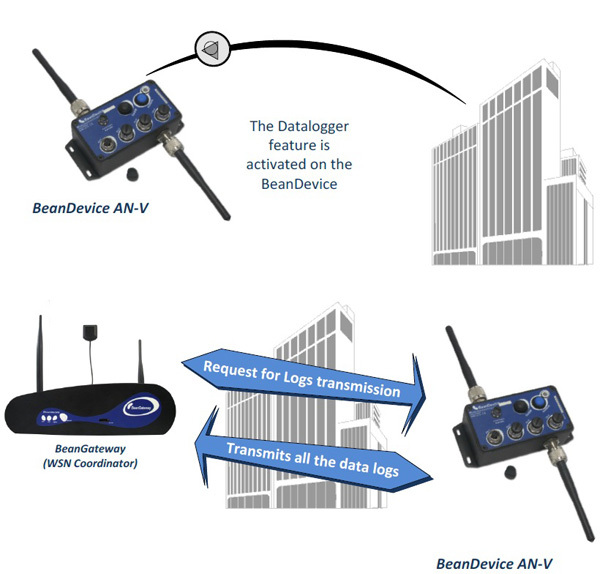 Based on inertial MEMS (Micro Electro Mechanical Systems) technology, BeanAir®’s line of wireless sensors, wireless data acquisition systems allow engineers to build their own architecture of wireless sensor network that enables remote monitoring and control tasks. Wireless sensor network gives the option to work away from the measurement sites, collecting and processing data without hassle or potential safety and health hazards. A wireless sensor network is composed of a wireless sensor (integrated with sensor power supply, micro-controller, radio transceiver and a data logger) and a network indoor / outdoor coordinator if required. BeanAir Sensors work on a network. You will need a sensor (BeanDevice), a coordinator (BeanGateway) and an application (BeanScape) in order to form your network. 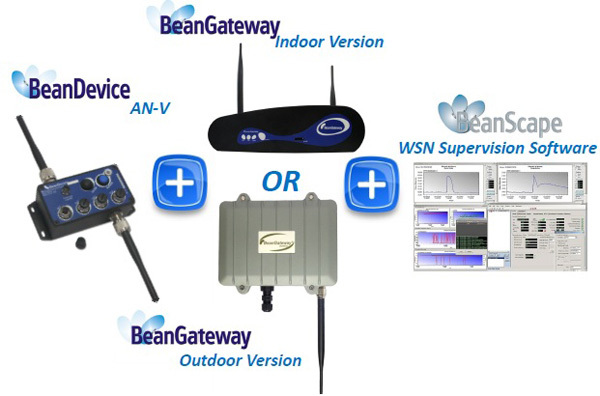 BeanGateway is the network coordinator that coordinates between all the wireless sensors in the data acquisition network and the user work station.BeanAir® Wireless Sensors are based on MEMS (Micro Electro Mechanical Systems) technology and IEEE808.15.4 &GSM/GPRS wireless stack for platform communications. User can monitor and control the measured physical conditions (e.g. temperature & humidity, vibration, pressure, etc.) from their computer by installing the provided management software. BeanAir® EcoSensor Series are wireless IR temperature & humidity sensors with integrated data logger that stand out for their ultra-low wireless technology (7yr battery life) and a storage capacity of 1 million data points. Find more on how to select EcoSensors please click here. Please complete the enquiry form below for specific information and advice on EcoSensor – Wireless Temp./Humidity Data Logger.